The good news is that there is a way to put this madness to a stop. Well, you can save yourself time, energy, and money by improving your MarTech stack with marketing automation technology. 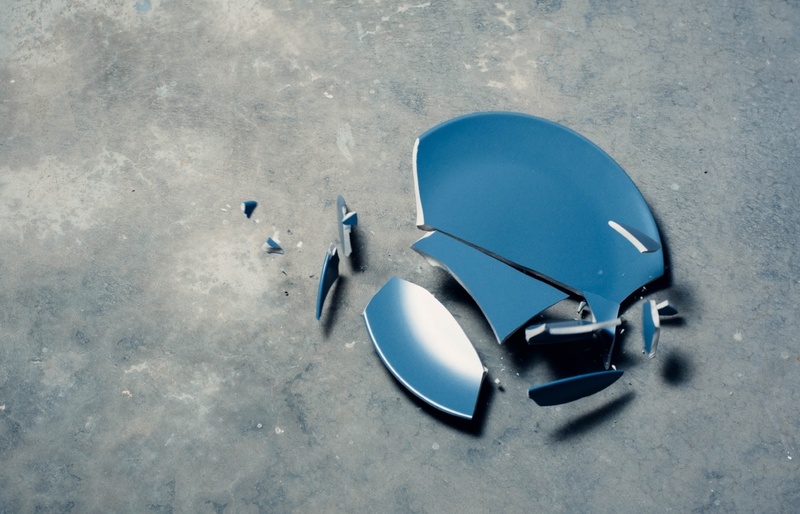 Already, 49 percent of companies use marketing automation. And almost 11 times more B2B companies are adopting the technology now than compared with 2011. And the reason why is simple: it helps you get more done in less time. Even more compelling, marketing automation can help you achieve a 14.5 percent increase in sales productivity and a 12.2 percent reduction in marketing overhead. Overall, 91 percent of successful users agree that marketing automation is “very important” to the overall success of their marketing campaigns. So, it’s definitely not something you can ignore any longer. The question is, which marketing automation tools are the most beneficial to your B2B marketing strategy? HubSpot is an inbound marketing and sales platform that will help your company attract new clients, convert leads, and close sales. It features three separate software, including: CRM, Marketing, and Sales. For the purpose of this article, we’ll focus solely on the Marketing Hub. HubSpot’s marketing software has everything you need to run your inbound marketing campaigns. As an automation tool, it can help you build and modify your website without IT, post content on your blog and social media, design calls-to-action to get more traffic, run A/B tests, develop drip campaigns, and track all of your marketing data so you can create detailed reports. 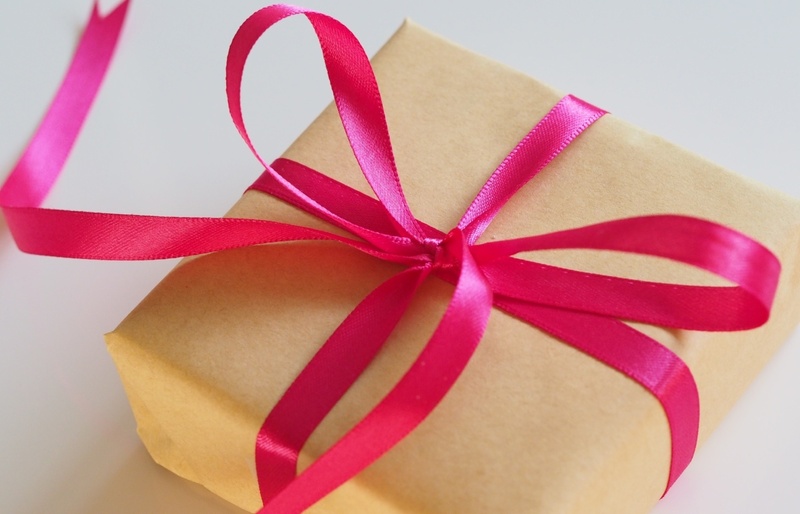 It’s an all-in-one marketing tool that is best used to track and nurture customers throughout the entire buyer journey. 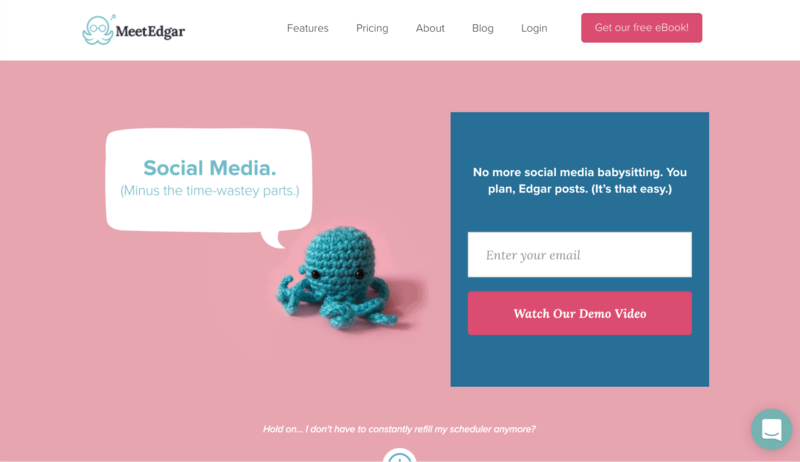 Meet Edgar is a social media scheduling tool that helps you maximize your social media ROI. It makes it easy to schedule, share, and recycle the posts you want to save. It can save you as much as eight hours a week. This marketing automation tool is ideal for helping you develop and share social posts consistently, so you can focus on the other parts of your social media strategy. The software works with Twitter, Facebook, and LinkedIn, making it easy to share posts between platforms without having to log in to each site separately. It’s also great for continuously pushing content from your RSS feed, so you don’t have to remember to share your blog on social—it’s done automatically. Best yet, Meet Edgar is fairly affordable. Pricing starts at just $49/month for 25 social media accounts, an unlimited library of content, and account setup assistance. 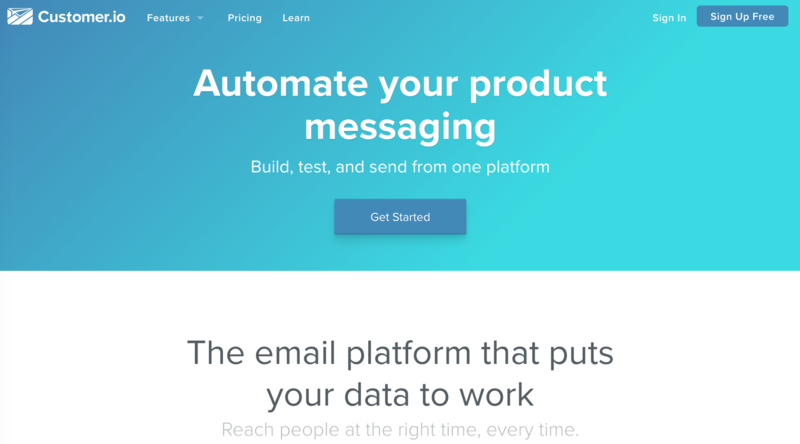 IFTTT (If This Then That) is a marketing automation tool that connects your apps and devices so that they communicate with each other and start working together in new ways. It’s an app that helps you link your blog to your social media, your email to your Google Drive, and more. The basic idea is to ensure that all of your services, accounts, and devices are part of the same network and are working together. 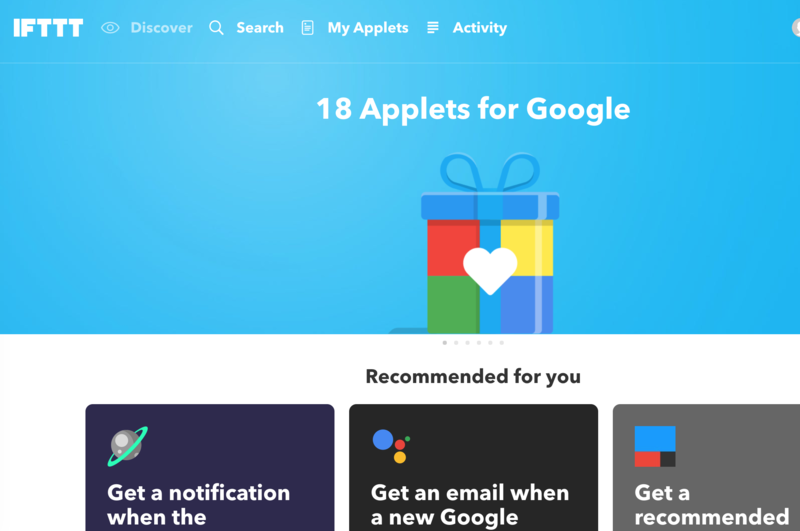 Depending on how you set it up, you can use IFTTT to help automate your social media tasks through “applets.” For example, let’s say you’re using the blogging platform Medium. With IFTTT you can do things like ensure that every post you recommend on Medium also gets posted to Facebook. Or you can share liked Facebook posts on your Twitter. The options are virtually limitless. The best part, IFTTT is completely free to use. 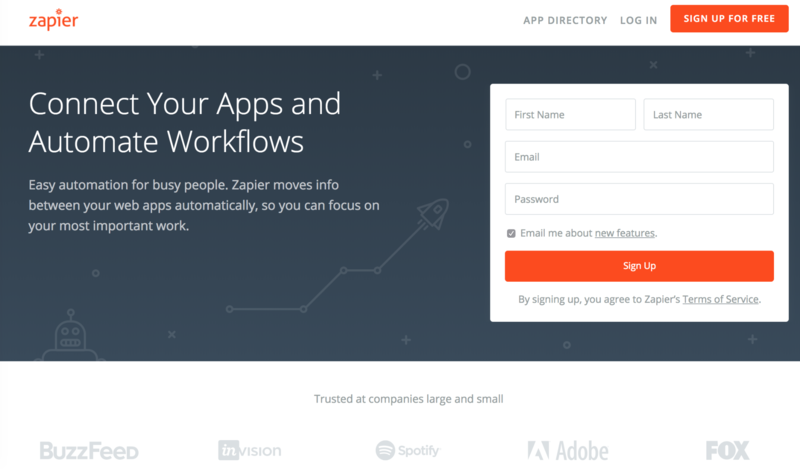 Zapier uses built-in-apps to create powerful workflows within your marketing strategy. Essentially, it helps you move between web apps quickly and automatically, so you can focus on getting your work done. Zapier works with over 1,000 apps including MailChimp, Twitter, Slack, Facebook, Instagram, Dropbox, HubSpot, Salesforce, YouTube, SurveyMonkey, and more. For example, let’s say you post a contest on Facebook that grabs email addresses. Using Zapier, you can automatically pull those Facebook email address leads into MailChimp and send out an introductory email to welcome them to your mailing list. The pricing is fairly simple. It starts out at $0/month for small accounts, moves up to $20/month to gain access to all 1,000 apps, and costs as much as $250/month for unlimited use. 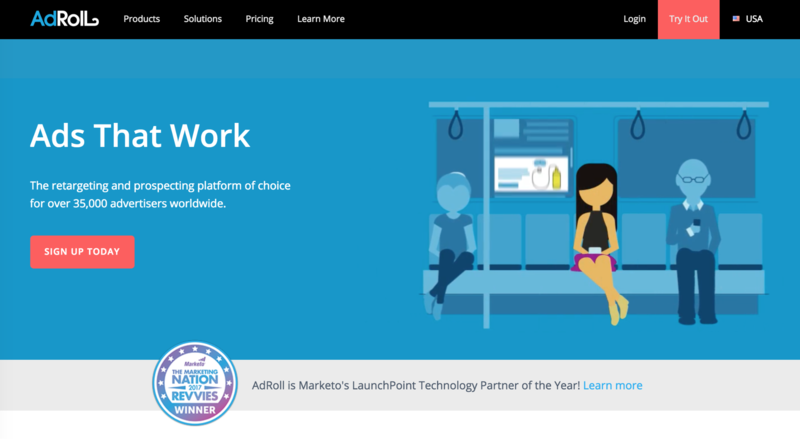 AdRolls helps you attract new prospects, convert customers, and grow customer value by helping you better target your ads. The tool works by helping you reach your customers across any device, browser, or app with over 500 ad exchanges all-in-one software. Using this automation tool, you can conveniently and easily create ads and place them across the Internet while monitoring their performance and fine-tuning your campaigns, all in one platform. It can help you target key accounts through attributes such as job title, industry, or site behavior or through your integrated CRM list. This is the best platform for creating, monitoring, and revising all of your ads online. Pricing is pay as you go, or if you spend a minimum amount on your ads, you can pay for the premium account. Personalized HTML templates, and more. The pricing starts at as low as $250/month for 50,000 profiles and 100,000 free messages, and goes up to $2500/month for 5,000,000 free messages and 1 million profiles. Pitchbox is an automated influence outreach software that helps you find bloggers, publishers, and influencers in less time. 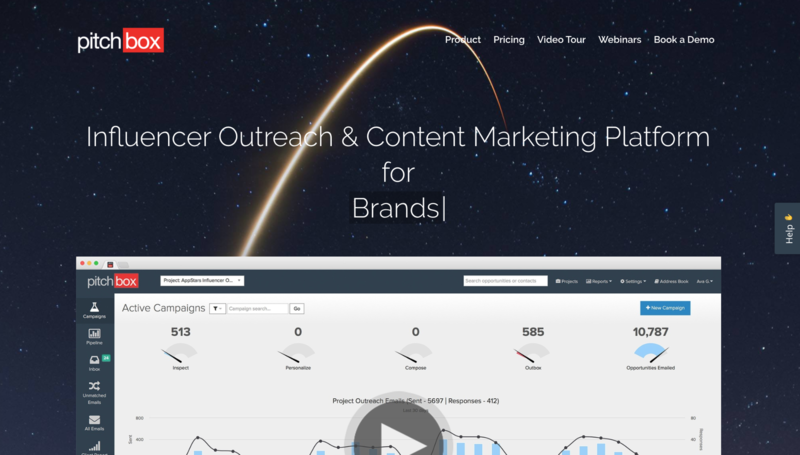 Integrating with top SEO providers such as MOZ and SEMRush, Pitchbox helps you find influencers within your niche and customize an outreach email to get in contact with them. The software also helps you automatically follow-up with prospects who haven’t responded. This helps you increase your response rates by around 62 percent on average. Pricing starts at just $195/month and goes up to $1500/month for enterprise plans. 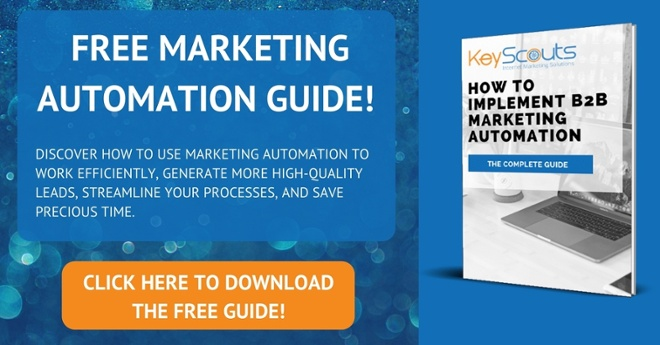 To learn more about incorporating marketing automation in your B2B marketing strategy, download our free marketing automation guide, today.